In this Photoshop tutorial, you will learn how to make glossy text. We will make use of the Glass Filter and other methods, to create some cool Photoshop glossy text effects. You can’t do without Layer Styles, which comes into play here as well. Also, learn to use the Lens Flare, an under-used effect which works perfectly in this tutorial. The best part is that you have unlimited color schemes for the text, just by altering the color of the overlay layer. Don’t miss our complimentary video to help you follow the written tutorial. 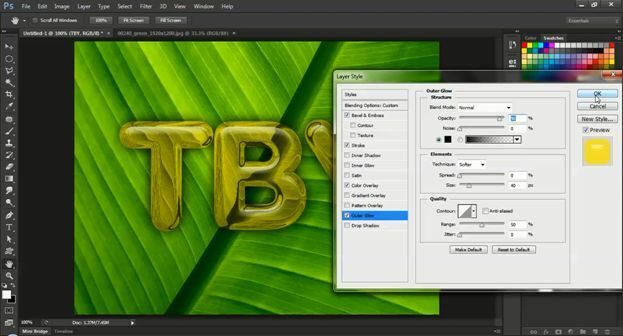 * Create an alpha channel for masking the sample text. * Use a green leafy background to enhance the effects. * Use Glass effect from the Filter Gallery. 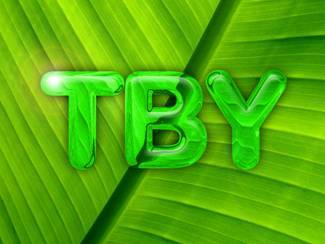 * Add Layer Style effects like Emboss, Color Overlay, and Stroke and Outer Glow. * Top it off by rendering a Lens Flare effect on the glassy text. 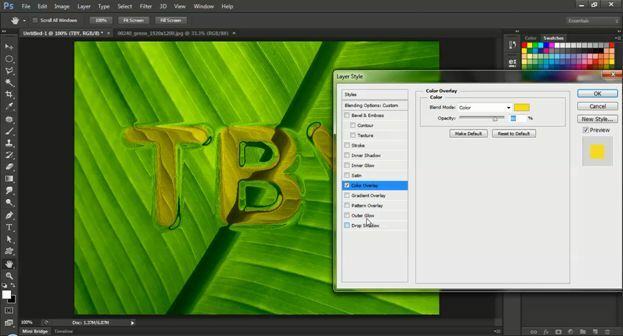 * Many color schemes by changing color overlay and stroke colors. 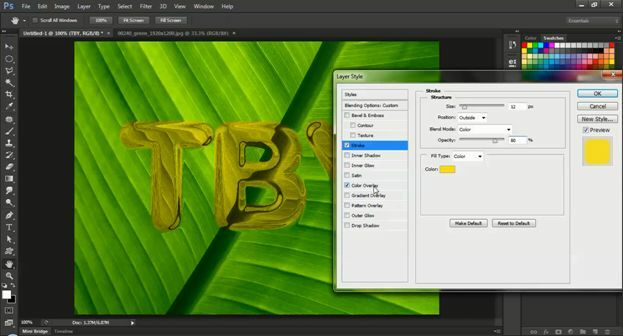 Create a new document with 800px X 600px. Then write your text. I used Arial Rounded MT Bold font to make it better. 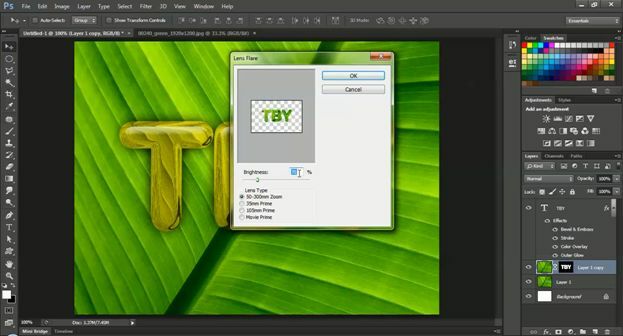 Now hold down Ctrl and click on the text layer (on the big T) to make a selection. 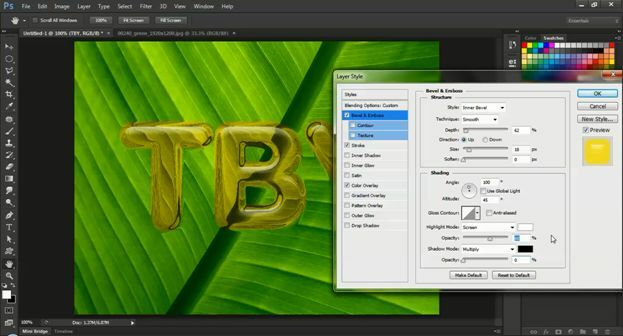 Then go to Channels (next to Layers tab) and click the Save selection as a channel at the bottom. This will make an alpha channel from the selection we made. Ok now that we have the alpha channel, turn off the RGB channels and turn on the Alpha like below. Now you have to save a copy of current document as we’ll use this later for a refraction effect. Go to File > Save As. In the Save As dialogue box, make sure you checked “As a copy”. Name this “glass_mask”. 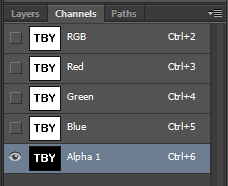 After saving this, you can delete the alpha channel and go back to RGB. Then import your background in the document. You can also use the one with this tutorial. Scale it if necessary, and then make a copy of the layer (duplicate) which has the background image. Now when in the copied layer of the image, press Ctrl + A to select all the area of the document. Now go to Filter > Filter Gallery. On the filter gallery, go to Distort > Glass. In the texture section, click on the Options > Load texture. Then browse the file you saved recently “ glass_mask”. Once loaded, use these values, Distortion: 20; Smoothness: 8; Scaling: 100. After applying the glass filter, on the menu go to Layer > Layer style> Color Overlay. 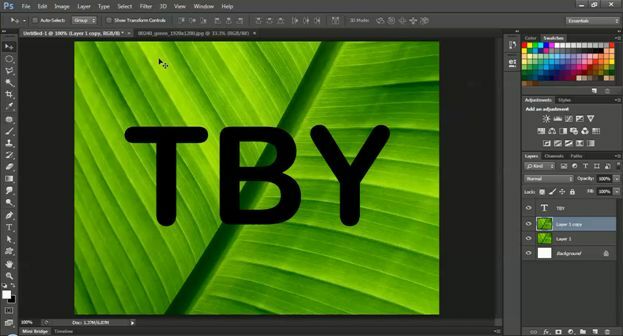 Change the text layers Fill to 0%. Color Overlay with color #ffea00; Blend mode: Color and Opacity: 80%. Then add a stroke with 12px outside; same color #ffea00; Blend mode: Color. Then add Bevel and emboss with these values. Depth: 62; Size: 18; Angle: 100 deg; Attitude: 45 deg; Highlight opacity: 60% and Shadow opacity: 0%. Keep the other values default. 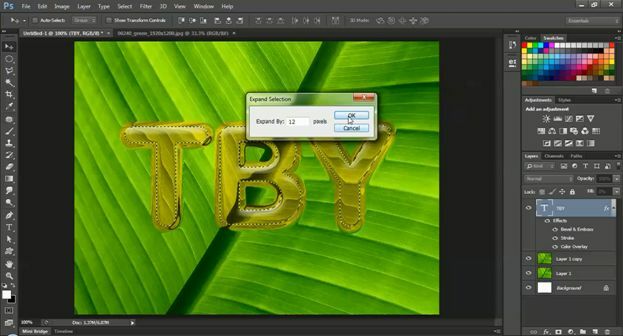 Now make selection of the text layer (as what was done earlier), and go to Select > Modify > Expand. Then expand 12px as we have an outside stroke with 12px. After this, go to Select > Modify > Feather and feather by 1.5px. 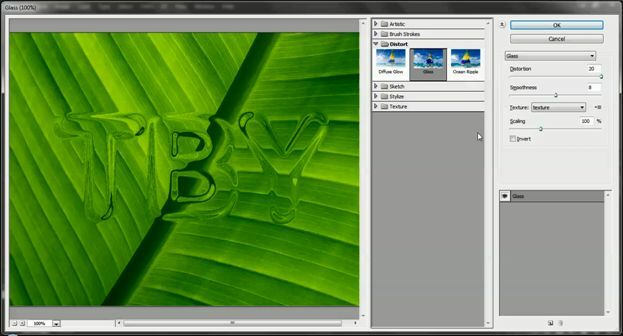 Then select the layer with background image which is glass filter applied. Then make a Mask from the selection. Now add an outer glow in the text layer with my values. Color: Black; Blending Mode: Normal; Opacity: 90; Size: 40. Now selecting the same layer add a lens flare effect. Go to Filter > Render > Lens Flare. Select 50-300mm Zoom and 70% brightness. Use a top left corner position of the text. 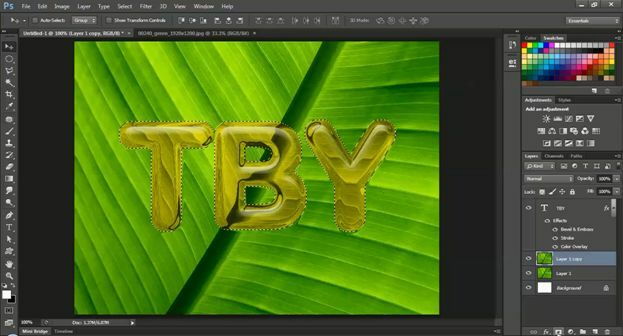 Now apply Lens Flare to the other background layer in same position to make the effect complete. You can even make more color schemes by only changing the color overlay and the stroke color of the text layer. 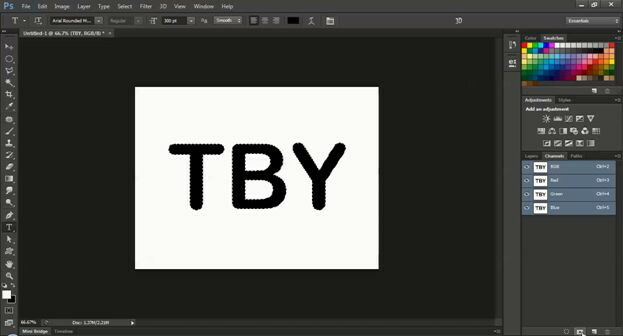 I Hope you enjoyed this tutorial on glossy text in Photoshop. 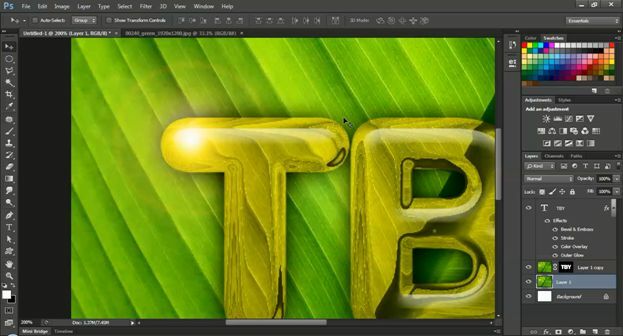 Just by using the Glass Filter, Lens Flare and Layer Style Effects, you can achieve some amazing text effects.